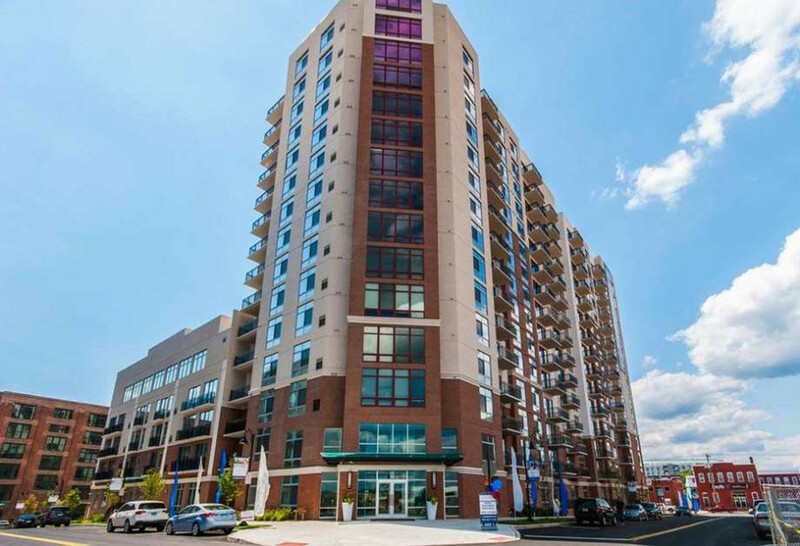 A Manhattan real estate firm has acquired five apartment buildings in the Harbor Point development in the city’s South End for approximately $395 million, in Stamford’s largest real estate deal since the last recession. GAIA Real Estate and four institutional partners acquired the properties from Building and Land Technology and the Lubert-Adler Real Estate Funds. The portfolio includes The Key at Yale & Towne, Vault Apartments, The Lofts at Yale & Towne, 111 Harbor Point and Postmark Apartments. Together, those complexes house approximately 1,200 units at Harbor Point. The sale reflects Stamford’s attractiveness to institutional investors and GAIA’s confidence in the South End, BLT CEO Carl R. Kuehner III said in a statement. The sale ranks as the largest in the city since a group of buildings at Landmark Square in downtown Stamford sold for $850 million in 2007, according to Town Clerk Donna Loglisci. Several local business leaders described the sale as a milestone for Stamford. The acquisition also shows the viability of transit-oriented development in Stamford, said Joe McGee, vice president of public policy for The Business Council of Fairfield County. All of the buildings bought by GAIA stand within an approximately 15-minute walk of the city’s Metro-North station. “The South End is a highly viable real estate investment option because it is within walking distance of a major train station that’s within a reasonable commute time of Manhattan,” McGee said. With none of the buildings in its new Stamford portfolio more than a few years old, GAIA does not plan to make major capital improvements at those properties in the near future, Fishman said. But GAIA does intend to enhance the buildings’ amenities, with a focus on features such as co-working areas, yoga and pilates studios, pet spas and bicycle stations. Offices in Manhattan and Houston serve as GAIA’s headquarters. Since 2009, it has invested more than $2.5 billion in real estate. GAIA also includes a property-management arm. Its nationwide portfolio features some 18,000 apartments and approximately 575,000 square feet of office space. In Connecticut, it also owns the 188-unit GAIA Avon Place condominium complex in Avon and 92 townhouse-style homes at the Colchester Gardens development in Colchester. GAIA would consider buying other Harbor Point apartment buildings and residential properties elsewhere in Stamford, Fishman said. Since its construction began in 2009, Harbor Point has transformed a once-industrial section of the city’s waterfront into an approximately100-acre development. The mixed-use complex now houses some 2,360 apartments, with another 2,400 planned. Some 30 retailers and 15 restaurants operate at Harbor Point. The sale netted the city $1.976 million in conveyance taxes.